Out of all the ways to increase productivity, giving employees recognition gifts is the most rewarding. On top of being a creative way to show appreciation, these gestures help unite your company. According to the McKinsey Global Institute, productivity improves by 25% in organizations with connected employees. Unfortunately, when examining the statistics it’s obvious that employers need to interact more with their employees. While productivity has been steadily growing 0.3% every year, an alarming 70% of American employees didn’t feel engaged in the work place. To further exasperate this troubling trend, only 25% of businesses have employee engagement strategies. In a world with a growing disconnect between employees and employers, staff appreciation gifts are the perfect remedy. Acknowledging achievement can increase productivity by 50% and business outcomes by 20%. Simply keeping employees happy increases productivity by an impressive 12%, and this is even more noticeable in retail. On average happy sales reps sell 37% more than unhappy coworkers, which translates to a staggering difference in revenue. These figures make employee recognition gifts a crucial investment. As an employer, keeping work morale high on Employee Appreciation Day should be a top priority. Fortunately, rewarding high performance employees in Chicago has never been easier. While the amount of potential gift options can be overwhelming, there’s more creative ways to motivate your staff than ever before. To help our readers reconnect with their employees, we compiled a list of the best staff appreciation gift ideas in 2018. While each entry is proven to generate results, the first gift steals the show. It’s time to start encouraging employees with some much deserved validation, so become proactive about rewarding high-performers! 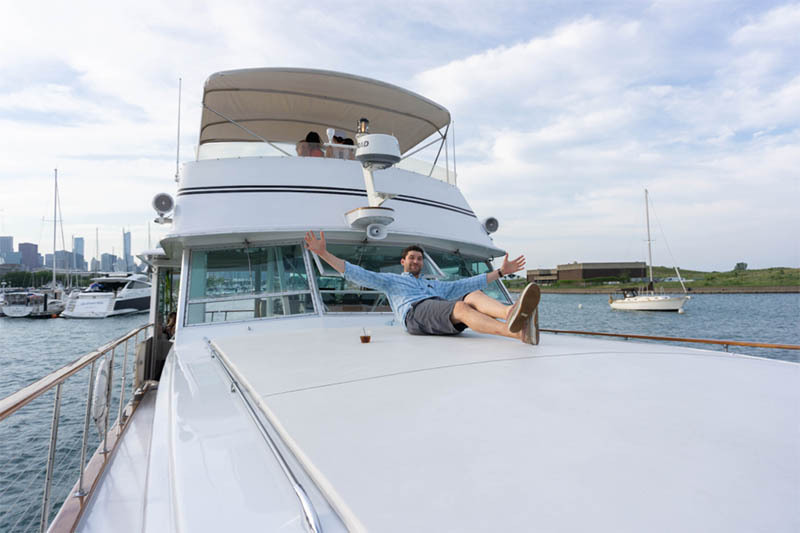 When it comes to treating employees, it doesn’t get any better than having overnight access to a private yacht. All the other entries on our list pale in comparison with this epic gesture of appreciation. 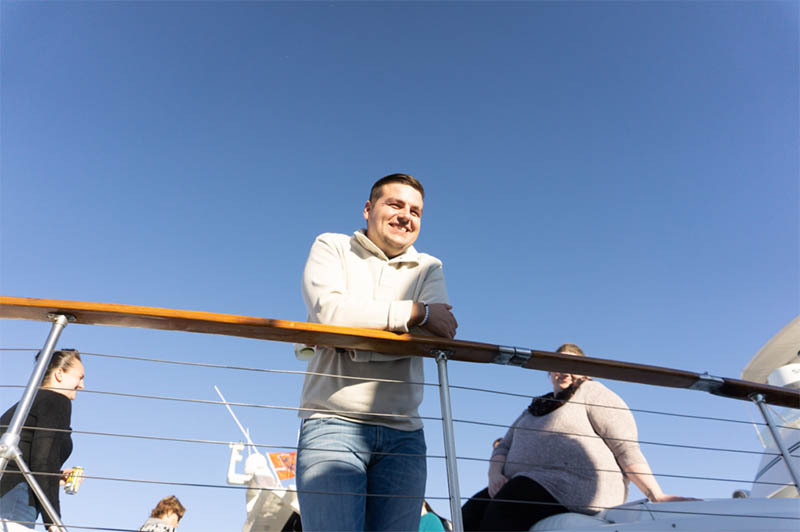 With our Sleep Aboard voucher, recipients get to experience the essence of luxurious relaxation. 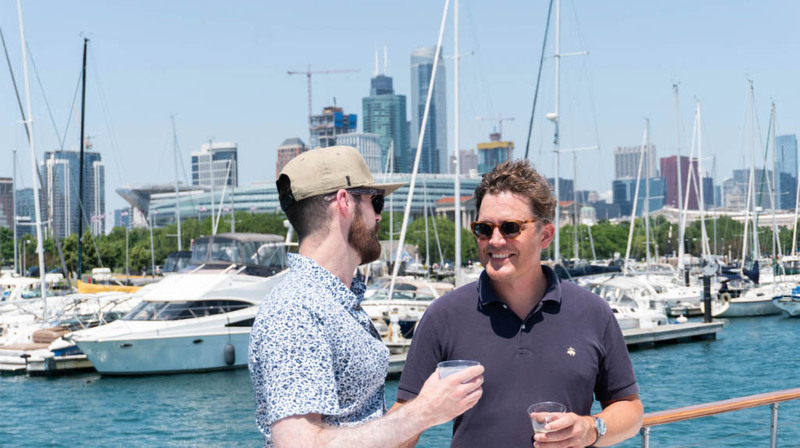 Adeline’s Sea Moose is Chicago’s premier private yacht and boasts 68 feet of potential entertainment. For sleep aboard bargains, the yacht stays moored to the dock. This allows visitors to get a dose of Chicago’s unique nightlife before winding down in a truly breathtaking setting. Our yacht can provide up to 6 guests with the Sleep Aboard accommodations of a lifetime. The VIP Master Stateroom is complimented by two additional staterooms to make sure your top employees make it onboard. When it comes to amenities, every part of the boat is filled with unexpected treats. Our bathrooms boast L’Occitane en Provence products while the modern kitchen gallery is stocked with quality ingredients for mimosas and local Intelligentsia Coffee. We offer multiple options that allow employers to further express their appreciation to employees. 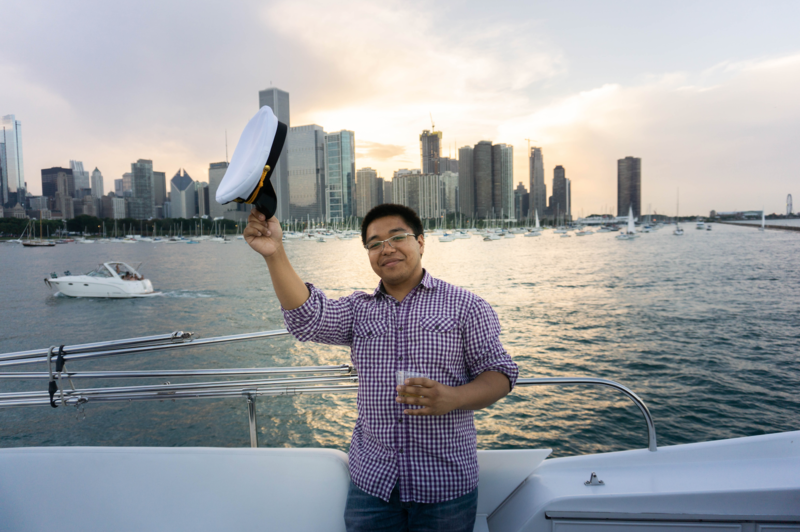 On top of providing personalized gift baskets, private luncheons and dinners can also be hosted on the yacht. Our talented chefs can create a wide range of culinary masterpieces, which allows employees to enjoy breathtaking high-end meals. Your employees deserve nothing but the best, so exceed their expectations by giving them a Sleep Aboard voucher! Every company has a diehard sports fan, and this memorabilia box is the perfect way to treat them. Fanchest has a wide selection of packages that cover every team in the NFL, NBA and NHL. From jerseys to beanies, all premium pieces included in their boxes are licensed. For an extra fee, the memorabilia can be signed by their favorite player. Fanchest’s robust selection of sports merchandise covers our country’s best teams, including the Chicago Bears. When it comes to Bears fans, we provide the perfect tailgating option. Adeline’s Sea Moose is literally located right behind the Bears’ home stadium Soldier Field. 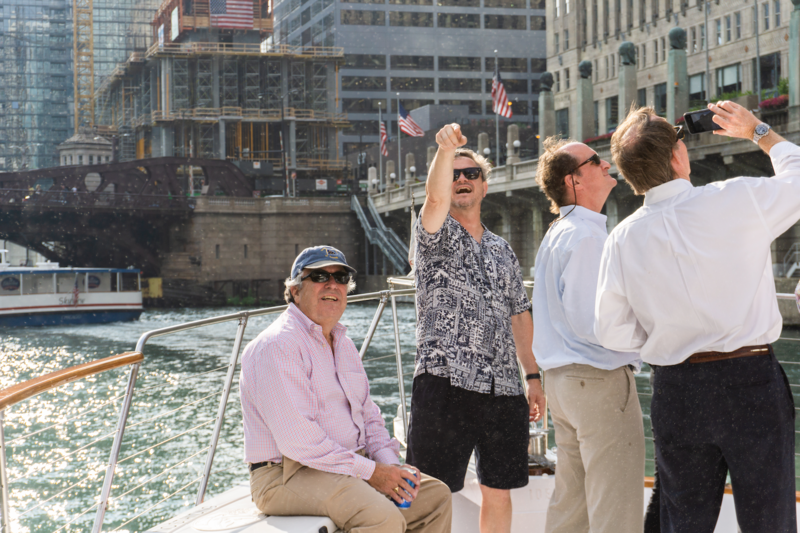 On top of this strategic location our yacht’s top-shelf bar, grilling and catering options help visitors take games to the next level. Tailgating on a yacht is the perfect compliment to a memorabilia box, so let your employees know it’s game time! This monthly subscription delivers a wide selection of green beauty products to your doorstep. From skincare to body & bath, no faucet of rejuvenation is ignored. Their sponsors regularly switch up the gifts, which adds a welcome surprise to the beginning of the month. Each product meets the Detox Box’s strict green standards, so there’s no excuse not to pamper your employees.